The website Stat has an article titled "Why healthcare needs a Steve Jobs-style disruptor". The article which is by a physician named Damon Ramsey focuses on Jobs' ability to rethink design and to reinvent many of the ways in which we interact with the digital world. Ramsey thinks that Jobs would have had much to offer our current healthcare system with its convoluted regulatory mechanisms and information systems; it draws inspiration from an account by Jobs's sister in which she recounts him sketching out new designs for hospital systems even on his deathbed. It's a pleasing vision, and Jobs was certainly a visionary who will go down as one of the most important people in the history of modern civilization, but I actually don't think that someone like him will be a disruptor in healthcare. The main reason is that healthcare is very different from electronics and computer science in terms of the complexity and predictability of its essential elements. Jobs might certainly have been useful in designing some of the electronic interfaces in hospitals, but that's a very limited part of the system. A major part of healthcare lies in the process of drug discovery, and in this vast arena I think Jobs would have been far less effective. In fact his working philosophy might have even been a hinderance. 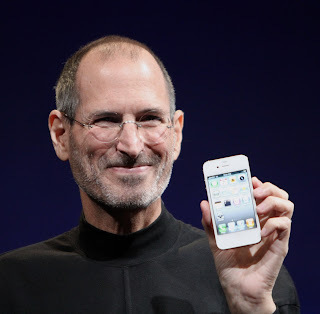 Jobs' main achievement was to make computers and other electronics easy to use: even more than Bill Gates he brought computer technology to the masses. He was probably the best interface designer of his time, and he also had a genuine capacity to see the interconnections between various aspects of software and hardware. And yet Jobs was designing his iPhones and Macs based on extremely well understood principles of software and hardware engineering. He certainly needed to think creatively in order to understand how to make these principles play well with each other, but he did not have to worry about the truth of the principles themselves. In addition the systems he was looking at were very modular, so most creative ways to package them together would work since they would not suffer from unexpected interactions. Put simply, there was very little chance that Jobs's devices would blow up. In contrast, biological systems are startlingly non-modular and non-linear. Getting them to work is not a matter of designing interfaces. Not only do we not yet understand how to discover new drugs well, but we don't know how to do that because we lack an understanding of the human body to begin with. The "software" in case of drug discovery would be the genome which dictates the actual workings of the cell. The "hardware" is the universe of proteins that serve as workhorses for regulating every single important process in our body, from reproduction to the immune response. Unlike a microprocessor in which the welding together of software and hardware is a matter of engineering, welding together the software and hardware of the human body is currently impossible, simply because we are ignorant both about the nature of these components and their interactions. I think Steve Jobs would have been completely befuddled if he had been confronted with the task of reinventing drug discovery. In fact one wonders if he would have fundamentally misunderstood the problem; it's worth noting that some people think that he died an early death because he wasted critical time in refusing standard chemotherapy for his cancer, opting to pursue untested "alternative" cures instead (although he does seem to have regretted his decision later). Knowing what we do about his philosophy, I get the feeling that he preferred the simple to the complex, the intuitive to the un-intuitive and the predictable to the chaotic. iPads and Macs are all of the former, biological systems are all of the latter. Notwithstanding his drive and intelligence, a Steve Jobs in drug discovery might have likely have taken his team down some very dark and interminable alleys. The challenges that Jobs met were very impressive, but they were primarily engineering challenges which could be solved by putting together a bunch of smart people in a room and giving them enough money. The systems he was looking at were largely homogeneous, did not involve too much unexpected feedback and were non-emergent. The challenges that healthcare faces - and this includes the regulatory, economic and informational challenges which the article mentions - deal with highly emergent systems composed of very unexpected feedback and non-linear phenomena arising from extremely heterogeneous and diverse players. Solving those systems is not a matter of designing a better mousetrap, it's one of understanding what a mouse is in the first place. Steve Jobs would not exactly have been the right candidate for unraveling that particular pickle. Here's a rare beast: a set of ten prospective molecular design studies from Roche, mostly made possible by a combination of modeling and crystallography. It's a valuable contribution to the field in my opinion, especially since people are always asking about prospective successes of molecular modeling and because companies are reluctant to divulge that kind of data. I especially liked the authors' emphasis on qualitative rather than quantitative aspects of modeling approaches; this is a subtlety not always appreciated by critics and is in fact one that goes to the heart of chemistry as a predictive science. 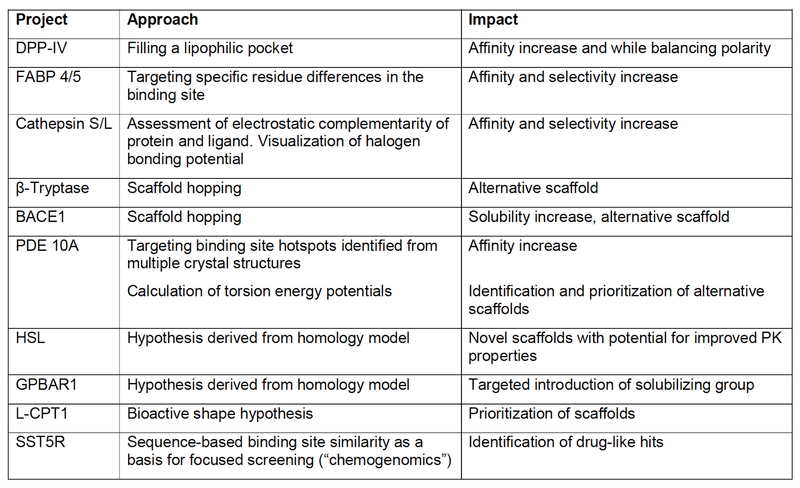 The review deals with ten early discovery projects involving diverse targets where a variety of modeling techniques were used to improve affinity, selectivity, solubility, pharmacokinetic properties and a bunch of other desired druglike characteristics. 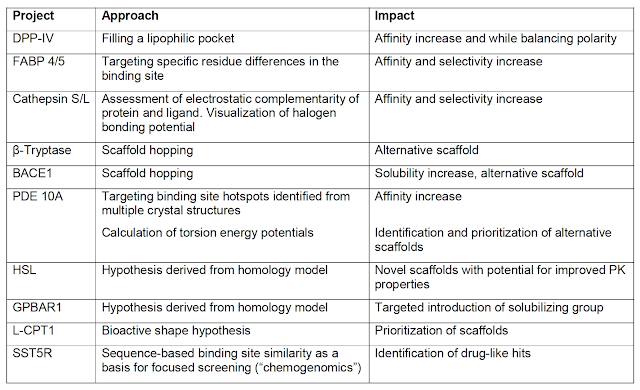 Some of the applications (filling hydrophobic pockets with small aromatic substituents or designing 'steric bumps' to get selectivity against other protein subtypes) are relatively straightforward while others (scaffold hopping, getting affinity by generalized electrostatic optimization, homology modeling) are more challenging and interesting. Here is a table displaying target type, approach and impact of the various protocols. Most of the projects benefited from early crystallographic data and in fact make a case for getting this kind of data as early as possible, even when you have relatively weak hits (as I have found out through experience, you can get a perfectly reasonable co-crystal structure with a 10 µM hit). At the same time, crystallographic data can sometimes actually surprise and tell you where you went wrong; for instance there is an example of a tryptase inhibitor whose scaffold was redesigned and found to be favorable through modeling, only to realize from the crystal structure that the scaffold was in fact flipped through 180 degrees. That particular example illustrates that occasionally you can get the right answer through the wrong process, although knowing this fact as early as possible itself is quite useful. Homology models pose a particular challenge for modeling; as I described in a previous post, a small change in the torsional angle of even a single residue can impact your ligand binding prediction. In this review the authors make a good case for using homology models even as crude aids. The crux of the matter is generating good hypotheses, and even crude models can help us do that. In this particular case, based on an initial lead, the model was used to predict a position to add polarity to the molecule. This led to a sulfonamide being replaced by an amide and a spiro ring system which retained potency and good properties. 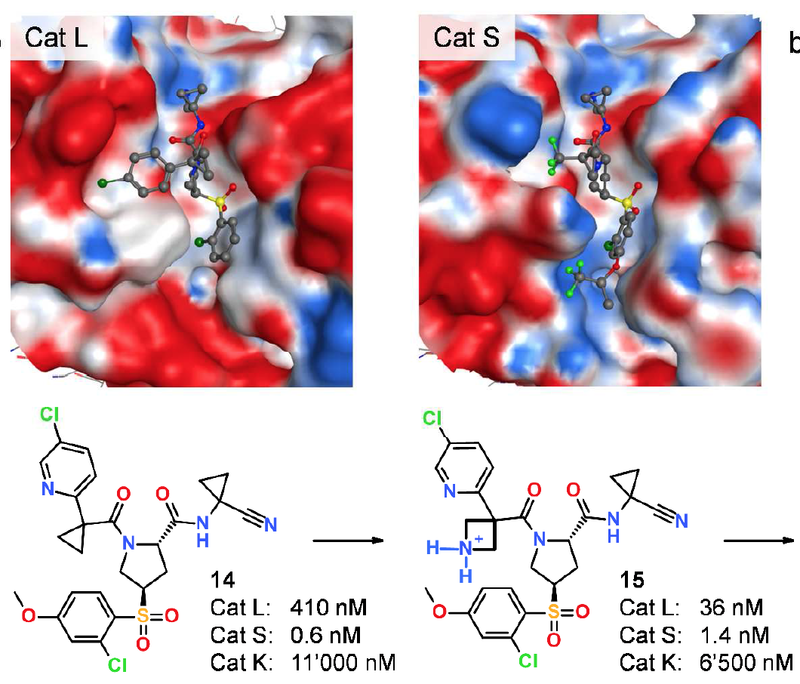 The last few cases deal with ligand-based optimization in which the lack of 3D protein structural information required the use of 3D ligand overlays. The authors make another important point here: in one of their case studies they used a simple 'shape envelope' instead of detailed QSAR analysis to guide ligand design. 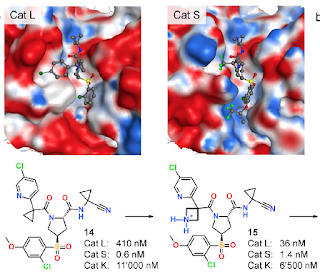 As they point out, doing ligand overlaps for detailed QSAR analysis can be very tricky; the devil is in the molecular details and small differences in atom placement might throw you off. There have been several articles bemoaning the limitations of QSAR in recent years, so this sounds like a safe thing to do. There are some obvious limitations to using such techniques which I am sure the authors are well aware of. Their list features hits, not misses, and many of the techniques which may have worked in these particular cases may not have worked in others. In addition, the review does not explore whether there is in fact a causal relationship between the technique used and the result obtained since other hypotheses aren't always explored. Nevertheless, it is unrealistic to expect researchers to try out every single hypotheses in a project, and what I find most useful in any case about this article is that it provides us with a checklist of things to try and conjectures to test. Science is about ideas, not answers, and as with anything else in drug discovery, if one thing fails you just hold your head high and try another. The review concludes with a set of lessons which I think are valuable guidelines to think about in any molecular design project. The importance of the first lesson cannot be overemphasized: qualitative statements can often be more useful than quantitative analysis. I can't say this statement doesn't make me beam with pleasure. It is an antidote to those who think of chemistry as physics and expect quantitative predictions. As the case studies here demonstrate, not only are quantitative predictions often a fool's errand but in many cases they aren't even necessary. This is a point that I think is often lost on the critics of molecular modeling. The goal of modeling is not just to make detailed predictions; it is to cull unnecessary directions of inquiry, save labor, guide researchers into previously unexplored areas of thinking and generate hypotheses that can be quickly made and tested. It is to help think about molecular design in the broadest possible way. This is value that goes far beyond being able to rank order your latest deck of hits, and it's something to keep in mind the next time an experimentalist asks you whether you can do that. The other lessons are also worth remembering: use molecular design to shape medicinal chemistry space, employ the principle of parsimony (and Occam's razor), annotate whenever possible (even simple visualization of molecular interactions can be eye-opening), realize the domain of applicability of your techniques (occasionally by stress-testing them) and perhaps most importantly, stay close to experiment. That last part is something all good modelers should know; don't use quantum chemical torsional calculations when you can look up features in the CSD, don't use homology models when you can convince the crystallographer to get you even a low-resolution crystal structure, don't use fancy scaffold morphing software when the medicinal chemist tells you that he or she can rapidly make alternative scaffolds. "Best practice in molecular design is best practice in all sciences: a relentless focus on clarity, simplicity and good experimental design. What is special about molecular design is the need to build solid hypotheses and to simultaneously foster creative thinking in medicinal chemistry. If we accept this, our focus may shift from the many semi-quantitative prediction tools we have to methods supporting this creative process. Further improvements in computational methods may then have less to do with science than with good software engineering and interface design. The tools are a just means to an end. Good science happens when they are appropriately employed." A means to an end indeed. Modeling is a poor master but can be a very useful servant. In today's New York Times physicist Lawrence Krauss has a rundown of the myriad cases in which even Albert Einstein was wrong about physical reality. His opposition to quantum mechanics was famous, but there were several others including gravitational lensing and - at the beginning - even gravitational waves. Curiously however, Krauss does not list what I believe was Einstein's biggest failure after quantum mechanics: his refusal to accept the reality of black holes. This failure is especially staggeringly ironic, since the gravitational waves which were discovered this week (which he did predict and which further confirmed his theory) came from the collision of two black holes (entities whose existence he explicitly rejected). Months after Einstein put the capstone on his general theory of relativity, a German mathematical physicist serving in the First World War named Karl Schwarzschild applied his theory to the simple case of spacetime around a spherical star. Schwarzschild found that as you approached closer to the star, for a star massive enough you would encounter a region where gravity was so strong that you could not escape from it unless you were moving at the speed of light. Schwarzschild sent his calculations to Einstein who curiously accepted them without protest; they seemed simple and logical. And yet Einstein never really explored the physical structure of Schwarzschild's solution, nor did he ever accept its profound implications. 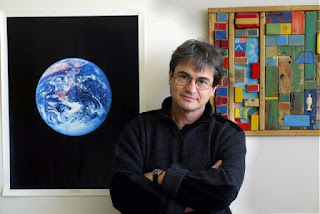 He regarded the solution mainly as a mathematical abstraction, much as some who did not quite believe in Copernicus's heliocentric model and regarded it only as a mathematical construction. Schwarzschild sadly died of an autoimmune disease on the Russian front in 1916. 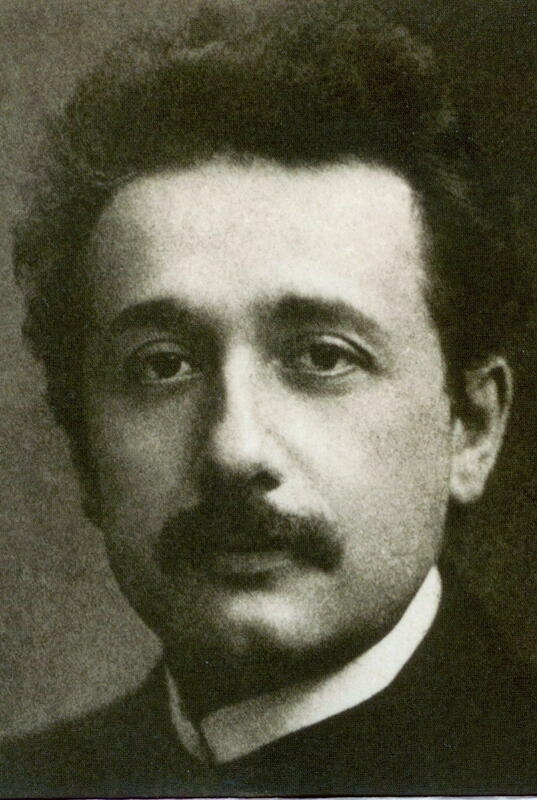 Einstein himself did not return to Schwarzschild's discovery, and it fell to a succession of young physicists unaffected by the biases of the old guard to investigate it to its logical conclusion. The most famous among these were Subrahmanyan Chandrasekhar and Robert Oppenheimer. Chandrasekhar's (or Chandra as everyone called him) story is well known. While crossing the ocean from India to England in 1930, the 19 year old Chandra worked out what would happen when white dwarfs exceed a certain mass. This mass, now called the Chandrasekhar limit, would be the limiting mass for a white dwarf to support itself against its internal gravitational pull. Chandra found his own skeptical Einstein in the famous English astronomer Arthur Eddington, who in a meeting in 1935 excoriated him for developing a model of a star which did not make physical sense (to Eddington). Chandra who knew better than to waste his time battling the establishment wisely moved on, seeing his ideas vindicated half a century later. Oppenheimer turned to gravitational collapse almost as a temporary diversion when he wanted to explore the ramifications of a theory of neutron cores set forth by the Soviet physicist Lev Landau. It was Oppenheimer who first worked out the full implications of a star which was so massive that it could not achieve any kind of steady state against gravitational collapse. In a seminal paper in 1939, Oppenheimer also introduced the now familiar idea of an observer falling past the so-called event horizon. Without calling them as such, Oppenheimer had discovered black holes and singularities, regions of spacetime where gravitational fields becomes infinite. Ironically, in the same year that Oppenheimer published his calculations Einstein wrote a paper in the journal Annals of Mathematics titled "A Stationary System with Spherical Symmetry Consisting of Many Gravitational Masses". The paper - published only a month after Oppenheimer's - argued against Schwarzschild's conception of singularities. In it he tried to get away from the idea that a single body could create a gravitational field strong enough to cause such a prohibitive warping of spacetime. Instead he tried to replace such a single body with a collection of bodies exhibiting spherical symmetry. The crux of Einstein's argument that such a system would have to rotate at the speed of light in order to exhibit singularities. Needless to say Einstein was deeply mistaken, and the 1939 paper displayed exactly the kind of mathematical modeling free of physical reality that he thought Schwarzschild's equations for singularities did. After the war both Oppenheimer and Einstein worked together at the Institute for Advanced Study in Princeton. 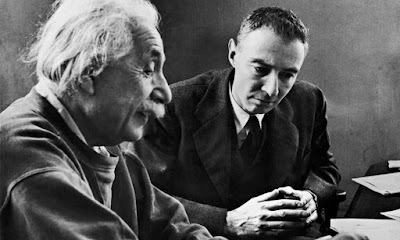 There is no evidence indicating that they ever discussed black holes or their respective papers from 1939; there is no evidence that Oppenheimer objected to Einstein's paper or that Einstein explicitly told Oppenheimer that he rejected his conclusions. But what was happening was worse than opposition: it was indifference. Just like Einstein Oppenheimer lost all interest in black holes after 1939 and refused to have any discussion about them, although as their inventor he putatively at least believed in them. The two physicists who had been scientific revolutionaries in their younger days became arch conservatives in their older years. It is a delicious reversal of fortune that the same black holes that Einstein explicitly rejected have been found to contain some of the deepest mysteries of physics, encompassing not just relativity but also quantum mechanics, thermodynamics and information theory. And now with the discovery of gravitational waves from colliding black holes, the scientific children which Einstein disowned have come back to smile at their father and say, "I told you so." This is irony of the highest order, and I suspect that Einstein with his great sense of irony about science and history would actually have enjoyed it. "You care for nothing but shooting, dogs, and rat- catching, and you will be a disgrace to yourself and all your family." - Robert Darwin, to his son Charles. Two hundred and seven years ago this day, Charles Darwin was born. The vision of life that he created and expounded on transformed humanity's perception of its place in the universe. After Copernicus's great heliocentric discovery, it was Darwin's exposition of evolution and natural selection that usurped human beings from their favored place at the center of the universe. But far from trivializing them, it taught them about the vastness and value of life, underscored the great web of interactions that they are a part of, and reinforced their place as both actor and spectator in the grand game of the cosmos. Not only as a guiding scientific principle but as an all-encompassing element of understanding our place in the world, evolution through natural selection has become the dominant idea of our time. As the eminent biologist Theodosius Dobzhansky put it quite simply, nothing in biology makes sense except in the light of evolution. Evolution is a fact. Natural selection is a theory that is now as good as a fact. Both evolution and natural selection happen. And both of them owe their exalted place in our consciousness to a quiet, gentle and brilliant Englishman. When you read about his life for the first time, Charles Darwin does not evoke the label of "genius", and this superficial incongruence continues to beguile and amaze. His famous later photographs show a bearded face with deeply set eyes. His look is gloomy and boring and is not one which elicits the image of a sparkling, world-changing intellect and incendiary revolutionary taking on an establishment steeped in dogma. Darwin was not a prodigy by the standards of William Hamilton or Lord Kelvin, nor did he particularly excel in school and college. A Cambridge man who studied religion, Darwin had one overriding quality; curiosity about the natural world. He consummately nurtured this quality in field trips and excursions; as one famous story goes, Darwin once held two beetles in two hands and popped one of them in his mouth so that he could free one hand for catching a third very attractive one which he had just noticed. He indulged in these interests much to the chagrin of his father who once said that he would not amount to anything and that he would be a disgrace to his family. As is well-known, Darwin's story really begins with his voyage of the Beagle when he accepted a position on a ship whose melancholic, manic-depressive captain Robert Fitzroy wanted an educated, cultured man to keep him company on a long and dangerous voyage that circumnavigated the world. For Darwin this was a golden chance to observe and document the world's flora and fauna. One of the best illustrated expositions of Darwin's voyage is in Alan Moorhead's "The Voyage of the Beagle" which is beautifully illustrated with original drawings of the wondrous plants, animals and geological formations that Darwin saw on the voyage. Darwin's own account of the voyage is characteristically detailed and modest and depicts a man enthralled by the beauty of the natural world around him. By the time he set off on his historic journey, young Charles had already been inspired by his teacher Charles Lyell's book on geology that talked about geological changes over vast tracts of time. As is also rather well-known, evolutionary ideas had been in the air for quite some time by then (as marvelously documented in Rebecca Stott's book"Darwin's Ghosts"), and Darwin certainly was not the first to note the rather simple fact that organisms seem to have changed over time, a view that nonetheless and naturally flew in the face of religious dogma. Most importantly, Darwin was well-aware of Thomas Malthus's famous argument about the proliferation of species exceeding the resources available to them, an idea whose logical extension would be to conjecture a kind of competition between species and individuals for finite resources. The "struggle for survival", taught today in school textbooks, a phrase that became much maligned later, nonetheless would have been obvious to a man as intelligent and perceptive as Darwin when he set off on his voyage. Biology, unlike mathematics or physics, is a science more akin to astronomy that relies on extensive tabulation and observation. Like chemistry it is a synthetic rather than a purely analytical science. Unlike a theoretical physicist, a biologist would be hard-pressed to divine truths about the world by armchair speculation. Thus, painstakingly collecting and classifying natural flora and fauna and making sense of its similarities and differences is a sine qua non of the biological sciences. Fortunately Darwin was the right man in the right place; endowed with a naturally curious mind with an excellent memory for assimilation and integration, he was also unique and fortunate to embark on a worldwide voyage that would enable him to put his outstanding faculties to optimum use. Everywhere he went he recorded meticulous details of geology, biology, anthropology and culture. His observation of earthquakes and rock formations in South America and his finding of fossils of giant mammals lend credence to his beliefs about organisms being born and getting extinguished by sometimes violent physical and planetary change. His observation of the Pacific and Atlantic islanders (especially the ones on Tierra del Fuego) and their peculiar customs underscored the diversity of human life along with other life in his mind. But perhaps his best known and most important stop came after several months of traveling, when the ship left Ecuador to dock at the Galapagos Islands. Again, much has been written about the Galapagos Islands and about Darwin's Finches. The truth is more subtle, sometimes simpler and sometimes more interesting than what it is made out to be. Darwin had mistaken his famous finches for other species of birds. It was only after coming back that his friend, the ornithologist John Gould, helped him to identify their correct lineage. But finches or not, the birds and the islands provided Darwin with a unique opportunity to study what we now know as natural selection. The islands were separated from each other by relatively small distances and yet differed significantly in their geography and flora and fauna. On each island Darwin observed similar plants and animals that were yet distinct from each other. As in other places, he also observed that species seemed to be adapted to their environment. Geographic isolation and speciation were prominent on those hot, sweaty and incredibly diverse land masses. After five years of exhaustive documentation and sailing Darwin finally returned home for good, much changed both in physical appearance and belief. His following life has been the subject of much psychological speculation since he settled down with his cousin Emma and never ever left the British Isles again. He also seemed to have been stricken with what today is noted by many authors as a kind of psychosomatic illness because of which he was constantly ill with abdominal and other kinds of pains. After living in London for some time, Darwin retired to Down's House in Kent where he peacefully lived the rest of his life with a kind and loving wife, playing with his children, taking walks along the path at the back of his house named the "Sandwalk", corresponding with intellectuals around the world and constantly interrupting his research with salutary visits to spas and resorts for "natural" treatments that were sometimes of dubious value. But peaceful as his life was, psychologically Charles Darwin was fomenting a maelstrom of revolution that was to have earth-shaking implications. Another fact that is frequently emphasized is his hesitation to not publish his ideas for another twenty five years in the form of the famous "The Origin of Species". Darwin was planning to write it for a while, but was finally jolted into writing it when he received a letter from an obscure young naturalist named Alfred Russell Wallace who was living a hard life of science and natural history exploration in Indonesia. Wallace had read some of Mr. Darwin's papers and manuscripts and had been struck by the similarity of his ideas to his own. Would Mr. Darwin comment on them? Darwin finally realized that he had to act to prevent getting scooped but characteristically credited Wallace in his published work. 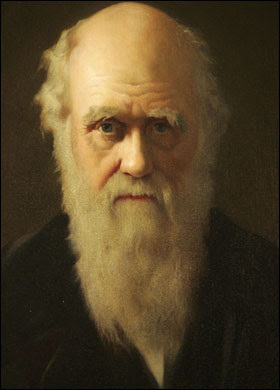 But Darwin did not rush forth to announce his ideas to the world, again for reasons that are obvious; Victorian England was a hotbed of controversy between science and religion, with many distinguished and famous scientists there and in other countries not just fervently believing in God, but writing elegant tomes that sought a supernatural explanation for the astounding diversity of life around us. Cambridge was filled with intellectuals who sought a rational framework for God's intervention. Darwin would have been quite aware of these controversies. Even though Darwin's grandfather (a more pugnacious character) himself had once propounded an evolutionary view, Darwin was finely attuned to the sensitive religious and social debate around him. Not only did he not want to upset this delicate intellectual and spiritual balance and get labeled as a crackpot, but he himself had not started his voyage as a complete non-believer. One can imagine the torment that he must have faced in those early days, when the evidence pointed to facts that flew in the face of deeply-held or familiar religious beliefs. One of the factors that dispossessed Darwin of his religious beliefs was the stark contradiction between the observation of a cruel and ruthless race for survival that he had often witnessed first hand, and the image of an all-knowing and benign God who kindly reigned over his creations. As the evidence grew to suggest a relationships between species and their evolution by the forces of natural selection that preserved beneficial characteristics, Darwin could no longer sustain two diametrically opposite viewpoints in his mind. Opponents of evolution who want to battle the paradigm not from a scientific viewpoint (because they can't) but from a political one frequently raise a smokescreen and proclaim that evolution itself is too complex to be understood. The tricksters who propagate intelligent design further attest to the biochemical complexity of life and then simply give up and say that only an omniscient God (admittedly more complex than the systems whose complexity they are questioning) could have created such intricate beauty. The concept of a struggle for survival has also been hijacked by these armies of God who proclaim that it is this philosophy that would make evolution responsible for genocide, fascism and the worst excesses of humanity. This is a deeply hurtful insult to natural selection and evolution as only the most dogmatic believers can deliver. One thing that constantly amazes you about evolution is its sheer simplicity. Stripped down to its essentials, the "theory" of evolution can be understood by any school child. It's almost like a simple three-step recipe that when followed keeps on churning out culinary wonders of staggering complexity and elegance. In my mind the beauty of evolution and natural selection is two-fold; firstly, as Darwin emphasized, the slightest adaptation leads to a reproductive advantage. Such slight adaptations are often subtle and therefore sometimes can sow confusion regarding their existence; notice the debate between driver and passenger mutations in fields ranging from evolutionary biology to oncology. But the confusion should be ameliorated by the second even more striking fact; that once a slight adaptation exists, it is guaranteed to be passed on to the offspring. As Gregor Mendel hammered the mechanism for natural selection in place a few years after Darwin with his discovery of genetic inheritance, it became clear that not every one of the offspring may acquire the adaptation. The exact pattern may be complex. But even if some of the offspring acquire it, the adaptation is then guaranteed to confer reproductive fitness and will be passed on. This fact should demolish a belief that even serious students of evolution, and certainly laymen, have in the beginning; that there is something very uncertain about evolution, that it depends too much on "chance". The key to circumventing these misgivings is to realize the above fact, that while adaptations (later attributed to mutations) may arise by chance, once they arise, their proliferation into future generations is virtually certain. Natural selection will ensure it. That in my mind is perhaps Darwin's greatest achievement; he finally found a mechanism for evolution that guarantees its existence and progress. As for the struggle for survival, it certainly does not mean that it results in non-cooperation and purging of other individuals. As examples in the living world now document more than convincingly, the best reproductive fitness can indeed come about through altruistic leanings and cooperative behavior. To follow, nourish and sustain his legacy is our responsibility. In the end, evolution and Darwin are not only about scientific discovery and practical tools arising from them, but about a quest to understand who we are. Religions try to do this too, but they seem to satisfied with explanations for which there is no palpable evidence and which seem to be often contradictory and divisive. It is far better to imbibe ourselves with explanations that come from ceaseless exploration and constant struggle; the very means that constitute these explorations are then much more alluring and quietly fulfilling than any number of divergent fantasies that can only promise false comfort. And these means promise us a far more humbling and yet grand picture of our place in this world. Especially in today's age when the forces of unreason still threaten to undermine the importance of the beautiful simplicity in the fabric of life that Darwin and his descendants have unearthed, we owe it to Charles Darwin to continue to be amazed at the delightful wonder of the cosmos and life. We owe it to the countless shapes and forms of life around us with whom we form a profoundly deep and unspoken connection. And we owe it to each other and our children and grandchildren to keep rationality, constructive skepticism, freedom and questioning alive. Getting to evolution now, there's an even bigger plethora of writings. Several books have captured my attention in the last many years. I don't need to extol the great value of any (and indeed, all) of Richard Dawkins' books. If you ask me which ones I like best, I would suggest "The Selfish Gene", "The Extended Phenotype", "Climbing Mount Improbable" and "The Blind Watchmaker". For a journey into our ancestral history, Dawkins' strikingly illustrated "The Ancestor's Tale" is excellent. Speaking of ancestral history, Neil Shubin's "Our Inner Fish" charts a fascinating course that details how our body parts come from older body parts that were present in ancient organisms. So does his recent book "The Universe Within". Shubin provides scores of interesting tidbits; for instance he tells us how hernias are an evolutionary remnant. Another great general introduction to evolution is Carl Zimmer's "Evolution"; Zimmer has also recently written excellent books on bacteria and viruses in which evolution plays a central theme. No biologist- not even Dawkins- has had the kind of enthralling command over the English language as Stephen Jay Gould. We lost a global treasure when Gould died at age sixty. His books are relatively difficult to read and for good reason. But with a little effort they provide the most sparkling synthesis of biology, history, culture and linguistic exposition that you can ever come across. And all of them are meticulously researched. Out of all these I personally would recommend "Wonderful Life" and "The Mismeasure of Man", and if you want to challenge yourself with a really difficult unedited original manuscript written just before he died, "The Hedgehog, the Fox and The Magister's Pox". In general, pick up any Gould book and you would have access to an extraordinary writer and mind. His collections of essays - "Full House" and "Eight Little Piggies" for instance - are also outstanding. One has to guard against the frequent intrusion of Gould’s political ideology into his writings, but as a man who could turn a phrase he had few peers.